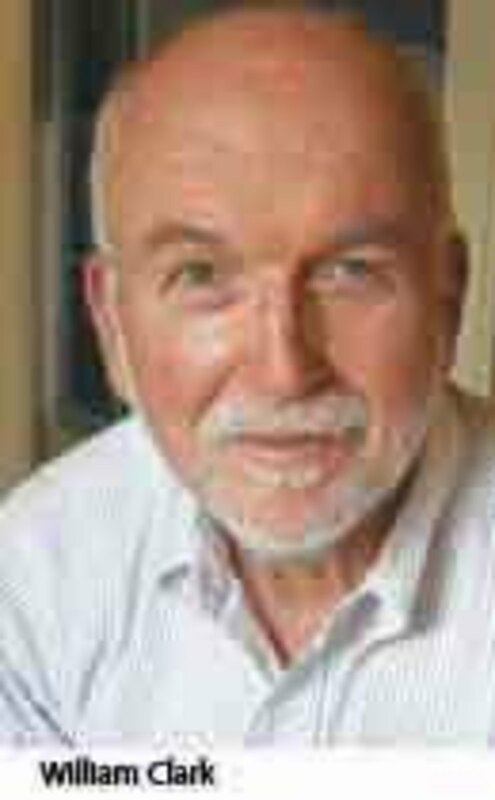 William R. Clark, professor and chair emeritus of immunology at the University of California, Los Angeles, has been a research scientist for 30 years and has written a string of books for the general public. His latest, Bracing for Armageddon?, published by Oxford University Press in May, examines the science and politics of bioterrorism in the United States. His conclusion: We shouldn&apos;t be so worried. Although the United States will have spent $50 billion on defense against a bioterrorism attack by the end of 2008, Clark argues that we have much more to fear from natural pandemic outbreaks, such as the viruses causing SARS and H5N1 avian flu. He reviews all the worst-case bioterror scenarios — from agricultural terrorism to poisoning the water supply; from genetically engineered pathogens to the Centers for Disease Control and Prevention&apos;s official list of bioterrorist weapons — and writes: "It is almost inconceivable that any terrorist organization we know of in the world today, foreign or domestic, could on their own develop, from scratch, a bioweapon capable of causing mass casualties on American soil." Clark chronicles the few (failed) attempts at launching large-scale bioterror attacks, beginning with the Rajneesh cult in Oregon, which slipped salmonella into salad bars in an attempt to influence a local election in 1984; the cult&apos;s efforts sickened more than 700 people but killed none. The Aum Shinrikyo cult in Japan earned worldwide headlines in 1995 for releasing sarin nerve gas into the Tokyo subway system, killing 12 people. But this was a chemical attack, and despite millions of dollars in funding and a staff of scientists, Aum Shinrikyo&apos;s several attempts at producing biological weapons, including the development of a relatively harmless anthrax strain normally used for animal vaccinations, produced no significant casualties. In the early 1990s, a militia group called the Minnesota Patriots Council made some ricin — a potent poison derived from castor beans — and stored it in a jar but never figured out how to use it. And the 2001 postal anthrax attacks spurred the government to develop a host of expensive countermeasures that are, Clark writes, largely unnecessary. These include the creation of a Strategic National Stockpile of vaccines and antidotes; the CDC&apos;s "push packages," cargo containers weighing a total of 94 tons whose medicine contents are constantly replenished and ready to be shipped to an emergency site; Project Bioshield, which funds research for new vaccines; and the Biowatch and Biosense programs, which are early-warning systems of sensors and laboratories in major U.S. cities. Miller-McCune talked to Clark about his book and his rather reassuring overview of the bioterror threat. Miller-McCune: You&apos;ve written a lot of other books for a mass audience, but you haven&apos;t written one about bioterrorism before. What piqued your interest in the subject? William Clark: I&apos;d just finished updating my latest book on immunology for the general public, In Defense of Self. I was thinking, "What could I throw in at the end of this that would make people more curious about immunology?" Well, for 48 to 72 hours after a bioterrorism attack, should one happen, the only thing standing between us and instant death is our immune system. So I thought, well, OK, how would the immune system handle these various different putative bioterrorism agents? So the last chapter in that book is about your immune system and these various agents. M-M: When did you begin suspecting that our bioterrorism fears might be a tad exaggerated? Clark: The more I looked into it, I thought, "Jeez, what are these guys talking about?" What are the odds that a terrorist group, no matter how well financed, would be able to create a bioterror weapon? I began looking into what it takes to really make a successful bioterrorism agent, and I just became very skeptical of this whole thing. The (United States) military gave up bioweapons 30 years ago. They&apos;re too undependable; they&apos;re too hard to use; they&apos;re too hard to make. Then I started checking around, and I found there&apos;s a whole literature out there of people who&apos;ve been screaming for years that this whole bioterrorism thing is really overblown; it&apos;s not practical; it&apos;s never going to work. Aum Shinrikyo couldn&apos;t get it to work; those guys put millions and millions of dollars into it. So you think of a bunch of guys sitting in a cave in Afghanistan — they&apos;re sure as hell not going to do it. Is any government going to do it? No. So that made me very skeptical, and I went back to Oxford and said, "This whole thing&apos;s a crock." And they said, "But that&apos;s even more interesting!" M-M: Thus the question mark at the end of the title, Bracing for Armageddon? Clark: Yeah, exactly. Scientifically, it is a crock. And this really verges into the political, but we&apos;ve spent $50 billion on it. So Oxford paid for me to take a trip back East and talk to a bunch of these voices that haven&apos;t been heard and interview them. M-M: How much research was involved? Clark: A couple of years. The science is pretty straightforward on paper. The kind of an organization you&apos;d have to put together, with the varying expertise that is required to make one of these things and deploy it, takes a whole group of people with all kinds of different skills, from engineers to meteorologists. That&apos;s just not going to happen. You can run an airplane into an office tower, and you get instant everything you could ever possibly hope for. So why would anybody sit around for years and years? The Aum Shinrikyo guys tried for six, seven years and couldn&apos;t get it to work. And a lot of them had Ph.D.s. M-M: But you start the book with the Dark Winter scenario, a simulated smallpox outbreak that was performed in June 2001 for 50 government officials at Andrews Air Force Base. This was an exercise staged by several prestigious institutes and government agencies, and it paints an awfully grim portrait of our ability to counter the outbreak, with 100,000 deaths forecast and 1.6 million people coming in contact with smallpox. Was that the scariest thing you stumbled across? Clark: Absolutely. As soon as I read that, I said, "Sign me up, I&apos;m going to join the Army." But then, following through on it, I saw the number of people out there who had been basically debunking it — at higher government levels, in scientific journals, think tanks, white papers — and the government just blew them off. I spent a whole year and a half backtracking on Dark Winter, and I realized this is an industry. There are about a dozen of these exercises or workshops, and they scare the crap out of politicians, who go to these things and realize how little they know. I mean, look, some good stuff has come out of it; there&apos;s no doubt about that. Public health has been upgraded; communications among people who would be managing an attack like that have been improved. But I think there&apos;s a hell of a lot more to worry about from an avian influenza pandemic, by a factor of 100 or so. They&apos;re very different situations. A bioterrorism attack is something that happens in a specific locality and requires a certain response, whereas pandemics just spread all over the whole freakin&apos; country. Clark: ... Or from planes being flown into towers. These (terrorists) want immediate impact on television. The Dark Winter scenario is pretty graphic television, but the smallpox vaccines that are on hand now make it unlikely. That Dark Winter scenario really stretched things, cherry-picking some of the worst-case scenarios. So many experts have torn that thing apart. The idea that each person infected would infect 20 to 30 other people — that&apos;s just not realistic. They&apos;d be quarantined immediately. M-M: So why create the Dark Winter scenario? Clark: It&apos;s just an ego thing on the part of the scientific types involved. It&apos;s all a game: This is how you get grant money, and the more impact (the exercise) has, the more likely you&apos;ll get funding the following year. But I think they&apos;ve kind of run through their prime. Now, people are moving on to influenza pandemic ideas. There&apos;s now a national plan — sort of like all the bioterror plans we came up with — for influenza pandemic. So they&apos;re putting the same kind of energy and scare tactics into that now and finally starting to dump some money into it. It might be taking over from bioterrorism. M-M: You mention that you came in contact with scientists who have been screaming for years that this is all overblown. Why can&apos;t they be heard over the "industry" voices? Clark: It&apos;s very clear that the current administration is just cherry-picking, and even (former President Bill) Clinton got on board with it. It&apos;s the same thing with Iraq: You&apos;ve got all this information out there, and you take what you want according to your political-social leanings. M-M: But it&apos;s a thorny problem for a politician who says there&apos;s nothing to worry about. One bioterror attack, and your credibility is shot. Politically, how do you think we&apos;re dealing with that issue? Clark: I think attention is starting to be diverted into preparing for something like an avian flu pandemic. I also paint a pretty grim picture in the book of the 1918 influenza pandemic. If the 1918 influenza virus were unleashed again, it wouldn&apos;t be nearly as grim as it was in 1918. Medicine is much more efficient now. But whereas in 1918 something like 3 percent of infected people died, with avian influenza virus, of the 300 people that have gotten infected, 60 percent have died. So it could be as bad as the 1918 influenza pandemic just because the virus is 25 to 30 times more deadly. M-M: But when you say in the book that it&apos;s very hard to imagine anyone doing this, in the popular imagination, they jump to the ricin found in the Las Vegas hotel room earlier this year, and they say, "If one guy is that far along, why couldn&apos;t a terrorist group pull off some kind of bioterror attack?" Clark: It&apos;s a question of quantity and purity — and efficiency of delivery. It&apos;s not just having it on hand; it has to be pure. The stuff that those guys in the Minnesota Patriots Council made was 4 to 5 percent pure. It could have caused some health problems, but that&apos;s when you get into the question of biocrime versus bioterrorism. Is ricin something that terrorists would use? Maybe. But it&apos;s not a contagious agent; only the people who come into contact with it would die. Whether terrorists would find that more effective than a bomb, I don&apos;t know. The threat is not zero from bioterrorism. But these dark scenarios where 10 million people die are just not going to happen. M-M: And I also wanted to go back to the 2001 anthrax attacks. With all that we still don&apos;t know about what exactly happened, what can we take away from that episode? Clark: Again, whether that&apos;s bioterrorism or biocrime, we don&apos;t know. If you multiplied (the mailings) by a factor of a thousand, that could really have an impact. One of the things that&apos;s come from it is developing an anthrax vaccine. We don&apos;t have one yet, but we have (the antibiotic) Cipro in these push packages. You could get half a million doses of Cipro to any spot in the United States in less than 24 hours. But if people had anthrax for two or three days, then Cipro&apos;s not going to help them. You could prevent other people from getting it. It&apos;s not contagious from person to person. If they blew powder into a building, you could quarantine everyone and shut it down with Cipro. M-M: Is there a consensus as to what person or group the scientific community thinks was responsible for the 2001 anthrax attacks? Clark: There&apos;s no way al-Qaeda could have gotten their hands on it. It&apos;s got to be an American. And if it was al-Qaeda, why wouldn&apos;t they say so? And why wouldn&apos;t they have done more? What&apos;s the point of terrorism if you don&apos;t take credit? You want to intimidate people, cow them. If it was al-Qaeda, they would have said so. M-M: So is the danger of a rogue U.S. scientist one of the more frightening scenarios? Clark: Yes, but it&apos;s like a Timothy McVeigh thing. You&apos;re going to have domestic terrorists. We call them terrorists, but they&apos;re basically criminals. People could do all kinds of things. Some rogue American Airlines pilot could decide to take his plane into another building — who knows? Clark: I talked to people here in Los Angeles County who are involved in managing the county&apos;s response to a bioterrorism attack. They&apos;re not too impressed by push packages. M-M: Oh, really. Why not? Clark: The problem is they&apos;re not just for bioterror; they&apos;re loaded with antidotes for nuclear, chemical, all kinds of events. These are enormously complex packages. By the time you sorted through that damn thing and figured out where the stuff was, there&apos;s no time. I mean, these people have to organize cops and firefighters and paramedics and doctors and nurses — boom, boom, boom. We don&apos;t have time to be dealing with a 94-ton push package. I think the government is starting to worry a little about the cost of maintaining these things because there are so many medicines and drugs in there that have different shelf lives. They have to be replaced periodically, and that&apos;s expensive. M-M: But that must be wonderful for the drug companies — to have to replenish the contents every six months. Clark: Right, which is why I think a vendor-managed inventory is going to be much more effective. Drug companies can just build a slight backup in their warehouse, so they always have 1,000 or 10,000 doses of a particular vaccine on hand. You can imagine a conveyer belt that goes from the drug or vaccine manufacturer out into the medical community. And they&apos;ve just put an additional loop into that conveyor belt, so it&apos;s not sitting in a warehouse rotting someplace. It&apos;s a bigger conveyer belt with an extra loop in it. Between the different manufacturers, nobody&apos;s got an exclusive on these drugs. Several companies are making "X" vaccine; several companies are making "that" drug. They&apos;ve got contracts to maintain this extra supply; that&apos;s going to be the way to go. Clark: Yeah, these biosensors — they&apos;re supposed to be secret, but I saw one the other day in the Beverly Center (in Los Angeles) under the escalator. If you look around, they&apos;re there. M-M: Did it say "biosensor" on it? M-M: And the government has also built labs in different cities, to test what these biosensors are trapping, right? Clark: Yes, the CDC contracts with local labs and oversees labs in all the major cities. But they&apos;ve had so many false alarms. They race out, double-check the data and find it&apos;s just some cross-reacting bug or something like that. They&apos;re trying now to get automated — basically robots — so the sensor itself could analyze the filter on the spot. That can take a couple of days otherwise. They&apos;re not collecting the filters every day, I&apos;m sure. By that time, you&apos;ve already got a problem. M-M: So you mention that this book became political as you explored the subject. Did you go into the project having a particular political slant? Clark: Only that as a scientist, I thought, "You&apos;ve gotta be kidding me." Who&apos;s gonna have the combined expertise from so many areas — microbiology, bioengineering — so many things? I&apos;ve spent all my life in a lab as a scientist. Things are just not that easy to do. They&apos;re bloody hard. If you&apos;re at a place like UCLA, you&apos;ve got 500 other people around you, so you can usually solve a problem. But for a person working on their own, not in a university environment, I just don&apos;t see how they can do that. M-M: But we&apos;ve spent $50 billion against bioterrorism. Clark: Yeah, $50 billion. And there has been some spillover. We&apos;re better prepared for a pandemic because what they&apos;re doing for bioterror would also prepare us somewhat for a pandemic attack. It&apos;s the tail wagging the dog. Before, bioterrorism was the dog and pandemics were the tail; now it&apos;s the other way around. Pandemics are now the dog, and you get a little bit of spillover to help in a bioterror attack. M-M: So the mindset is changing? Clark: I think so. Some of the more sober, sophisticated, knowledgeable scientists have been looking into this a bit more deeply, realizing that while they may not be entirely convinced that bioterrorism is not a threat, they&apos;re starting to get the notion that avian influenza — or some other natural outbreak — is almost a slam-dunk. We get two or three of those a century, historically, as far back as we have records. There are these outbreaks of natural human pathogens that wreak utter havoc. ... So those numbers start to sink in, and we&apos;ve spent $50 billion on something that&apos;s killed five people. Influenza could kill tens of thousands at the very least. And I hope this book will get the general public to keep the pressure going on the government to pay more attention to things that present a much more serious threat to us, like infectious diseases or global warming.